Screen - Screens, for each event. 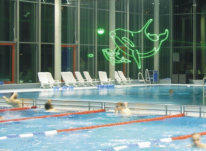 A screen made by LPS means see and be seen. Screens are used for logos and laser graphics up to laser animations and trick films, the projection of impressing laser animations and graphics during a laser show, which is for the human eye the most remarkable effect of laser technology. For an optimal screen projection whether laser or video, we can offer different projection screens like Water Screen and Hydro Shields with different dimensions and dimensions on demand. All other materials like Gauze Screens or PVC Screens on demand. 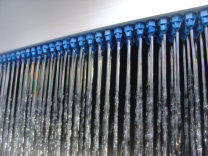 Patented special aluminium profiles with plastic nozzles at water screen.